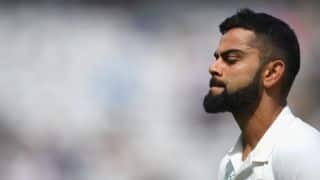 'Attitude' and 'sustained pressure' are the two keywords Virat Kohli's is taking from the England tour which concluded on Tuesday with yet another for India. 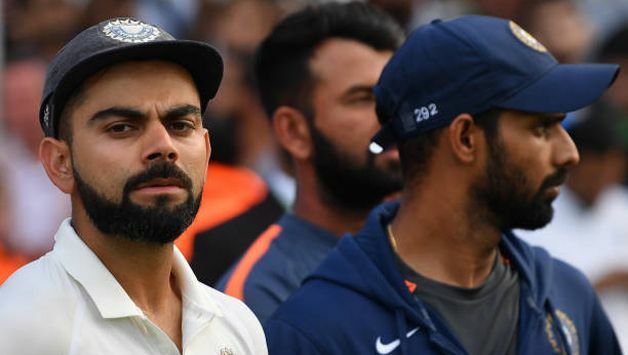 ‘Attitude’ and ‘sustained pressure’ are the two keywords Virat Kohli’s is taking from the England tour which concluded on Tuesday with yet another defeat for India that sealed a 4-1 series win for the hosts. Time and again throughout the series, Kohli has spoken of how he’s happy with the way his team has approached the contest despite being repeatedly put under situations where the world’s top-ranked team were playing catchup. This, on several occasions, was after they had England under the pump but allowed them to not just wriggle out of the pressure but set them up for potential victories. Edgbaston and Southampton come to mind. 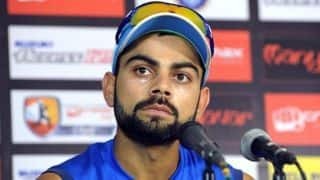 Kohli feels the team has the right attitude and calibre to win but they have allowed advantageous positions to slip away. And that’s where England have been better than India. Kohli said capitalising on important moments is the only way India can move on from winning just a Test to series. “We are not starting behind all the time. We’ve have fought back in a series, England has had to fight back a few times. So they deserved to win because they played better than us, that is how we look at this series, we do not look at this series as something that makes us think we can’t play in overseas conditions. Of course we can play, but can we capitalise on the important moments better than the opposition? At the moment, no, we haven’t done that, but in future, we want to do that, and that’s the only way we win series,” he said. While Kohli, expectedly, is unhappy with the result, he’s not doubt that his team gave everything it could on the England tour. “Our aim is to win series, not to win the odd Test match and be happy about it, we are definitely not happy about the way the series has gone, but the way we played cricket is something that, not me, no one in the change room, no one doubts even one per cent, because we played with the right attitude and the will to win every game that we played,” the 29-year-old added. In hindsight, the template of India’s performances over the course of the five-Test series was set at Edgbaston, venue of the first match. They were in driving position when England had been reduced to 87/7 in their second innings. Sam Curran then put into motion the first of his several rescue acts to revive England. India lost the match by 31 runs. Kohli accepts that his team has to stamp their authority from the first game onwards. “And as I have mentioned in the past as well, we need to start series well, we can’t warm-up in to a series because the first Test is always crucial, and we need to make sure we are in the right frame of mind to be able to do all the things right to strike first,” he said. “The progress has been there. Definitely, you have to do some things right to be in a position where both results are possible [victories for both sides]. More importantly, we need to recognise when the situation is in our favour, how to solidify that situation even further, and make sure that the opposition cannot get back in to the game. More often than not, we have given the advantage to the opposition rather than them brilliantly turning around a situation. Sam has been outstanding through the series but apart from that batting slot, it’s not up to brilliant batting always, it’s been up to us not applying the pressure for long enough as well. Ishant Sharma was unavailable to bowl on the fourth morning of the fifth Test as he sat out due to a sore ankle. India were a bowler short as England declared after 423/8, setting India an improbable 464 to win. Then, they lost three wickets for two runs in the final session before KL Rahul and Rishabh Pant made it a contest, scoring centuries. “We were a bowler short in the second innings as well, but even then the batsmen came out and played liked that. A lot of teams in the past basically have given up, but we did not. And this kind of series shows you exactly the kind of character of individuals are, and I see that as an opportunity and not adversity because if you keep winning all the time, a lot of faults are swept under the carpet, you don’t realise the faults you need to work on and I certainly haven’t played my cricket like that,” he observed. After being three wickets down on the fourth day, in chase of a 450+ total, how did he motivate his batsmen? Kohli replied, “The one thing that we spoke about was how we react to the fifth day’s play is going to determine a lot of what happens in the future for all of us. It is very easy to surrender and say it is too difficult or we might not be able to do this. But if you show the right attitude then, throughout your career, you will have more good memories than bad and the game will give you back because you are respecting the game and playing in the right manner. “A lot of teams in the past basically have given up but we did not do so… look we don’t think like people on the outside I have said before and again. And this kind of series shows you exactly the kind of character of individuals. I see that as an opportunity and not adversity because if you keep winning all the time a lot of faults are swept under the carpet, you don’t realize the faults you need to work on and I certainly haven’t played my cricket like that,” Kohli said.